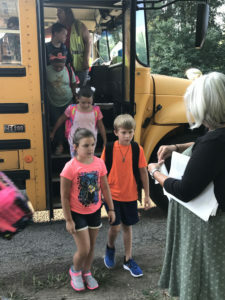 Collinsville Unit 10 School District provides free bus transportation for students through a private contractor, First Student. The district is required to transport all students living 1.5 miles or more from their schools. Free transportation services for special education students are provided if included in the student’s individualized education plan. Non-public students are transported in accordance with state law. Homeless students are transported in accordance with the McKinney Homeless Assistance Act. The Illinois State Board of Education provides a state-funded pupil transportation reimbursement program for parents/guardians to whom free busing is not provided. For more information and eligibility criteria, see: Illinois State Board of Education. Questions about student transportation can be directed to First Student at 346-8605 or Student Services at 346-6350.